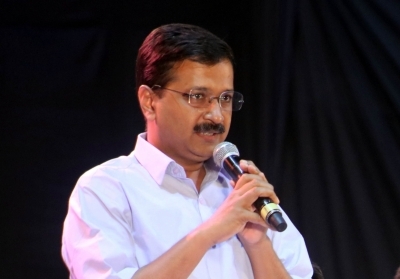 New Delhi, Aug 21 (IANS) Delhi Chief Minister Arvind Kejriwal on Monday said that the New Delhi Municipal Council (NDMC) on Monday decided to stop the practice of contractual hiring of labourers. Kejriwal, who is member of the NDMC, said the decision was taken in this regard at a meeting. “I had said on August 15 that thekedari (contractual hiring) should be stopped. The NDMC council today (Monday) decided that the practice will be stopped. Congratulations to the poor workers,” Kejriwal tweeted. NDMC authorities, however, could not be contacted for their response on the issue. A senior official of the Delhi government said that the NDMC “passed a resolution” moved by Kejriwal to “end the contractual work” practice in the NDMC. “When the CM (Kejriwal) moved a table agenda, then a few BJP members opposed the move saying that the small level workers do not work when regularised. To this, the CM replied several senior officials also do not work properly, then they should also be kept on temporary basis,” the official said. “Despite the resistance, Kejriwal got the agenda passed,” the official added.